Having a pup around gives us immense joy. It is like having a best friend, right at home, staying with you all the time! It follows you wherever you go!! In no time you have a special emotional bond with your puppy. Puppy-proofing the house: Get your house ready before you get a puppy! Remember that a puppy can be hyperactive sometimes, and is very capable of chewing, scratching and playing around with things. So anything which is breakable or delicate or dangerous, for example glass wear, papers, footwear, electrical wires etc should be kept out of reach. If you have a baby at home, her belongings should be kept out of reach, to maintain hygiene. If there are cabinets within the puppy's reach, better use locks for them. Get a particular place for the pup in your house where you can put up a bed for him. Food for your new friend: It is very important for you to know about what to feed your pup. You can start feeding solid foods to the puppy when they are about four weeks old, as they feed on mother dog's milk till that age. There are a lot of puppy foods available in the market to choose from. Consult the vet once before you buy any pup-food. The frequency of feeding him can be 3 times a day initially, and can be twice a day when the pup grows. If you have another pet at home, keep a separate bowl for each of them. Vaccinations: Vaccinating your pup is one of the first things you should have on list when you get one. There are many vaccinations available for different illnesses and there are proper schedules available for the same. 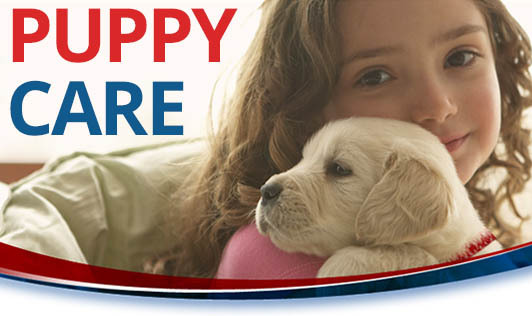 Consult a vet for the vaccinations and help your pup stay a long and a healthy life! Remember these vaccinations are not only beneficial for your pup, but it becomes easier for you to keep a track of his health in the long run. Training your pup: Your patience will decide whether you will have a happy and obedient pup or a destructive and problematic pup. You need to have a lot of patience while training your puppy. Training will include the way your puppy behaves in the house. It will include eating patterns, sleep pattern, toilet training, and a lot more. But if you are patient enough and are very encouraging, your pup won't disappoint you! You have to establish a teacher-learner relationship with him. Getting a puppy home isn't only about fun, but involves a lot of care and planning. But with everything planned beforehand, you will never have to miss the fun part! Having a friendly, happy, obedient and strong pup at home is a boon... Create it. Enjoy it. Live it! !